Small businesses have a tough time against corporations with well established brands. It is important to use email services as a way to market your company, but it takes time to build the list and it will constantly change. When you have services versus products it can often seem harder to market your company through email. You might wonder what you can put of value in the email that is not information. This article on services and email campaigns will hopefully answer this question for you. 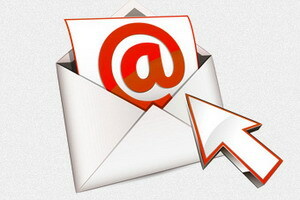 Newsletters are a great way to begin your email communications. However, it needs to have value and be worthy to read. An example would be a tea cottage. They offer services and products. The first, services, are offered through a monthly tea party that showcases the tea. The second, products, are teas they provide at the parties and then sell for visitors to take home. So in actuality they offer both options. With a newsletter for services, it would include the upcoming tea parties, dates and times. It would offer information about the themed tea such as a Christmas theme based on Charles Dickens perhaps. Someone who loves Charles Dickens would definitely want to come versus someone who doesn’t like his books. Information about tea and tea ceremonies about the world can also be included. The idea is that the newsletter contains interesting facts about the services that the receiver will want to read. It is always nice to have a promotion in a newsletter, but you may want to consider that not everyone will read your letter. Also you do not have a promotion every month to offer in the letter, so you do not want your readers to get used to the availability of a promotion in each newsletter. Another difference between offering promotions and separate newsletters is that you may have four quarters that you decide to send out your newsletter because you do not have enough to send one out each month. You do not want to rehash everything each time you send out an email. So you have to structure your newsletter based on the content you can provide that is worth reading. Discounts or promotions on your services may occur more often. You may have one each month. If you do not you might have one that happens on the most frequent holidays based on the service your business offers. In these instances you might send out multiple emails with discounts or promotions with percent off your services within a three month time frame and nothing for several months before a new one. This is another reason that including promotions in newsletters only is not always enough. You definitely want to separate them out and you want to use both newsletters and promotion emails to remind companies that you are still in business offering what they need. You can always provide a discount on any service you offer in your company even if you provide informational help versus something like tax services. Anything that has a value that you offer can be a part of a promotion. Being smart on how you create that promotion to be worthwhile is important. You want someone to be able to take advantage of it. For example tax and accounting is one industry where you can give a discount to repeat tax payers. If they use your service for five years offer a discount. Likewise if they are new you could have a different discount for a little off the first visit. You always want to find a way to target all consumers who will end up using your company and do so through email to remind them you exist and are happy to be on their mind whenever they might need your services. These are just some ideas for using emails and the service you offer.